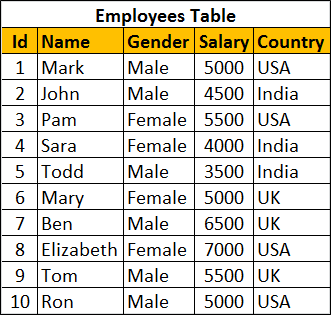 Grouping sets is a new feature introduced in SQL Server 2008. Let us understand Grouping sets with an example. We will be using the following Employees table for the examples in this video. 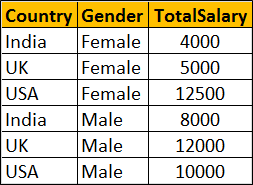 We want to calculate Sum of Salary by Country and Gender. The result should be as shown below. To achieve the above result we could combine 2 Group By queries using UNION ALL as shown below. 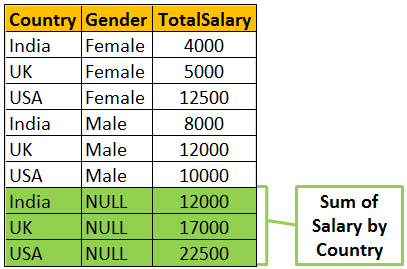 Within the same result set we also want Sum of Salary just by Gender. The Result should be as shown below. 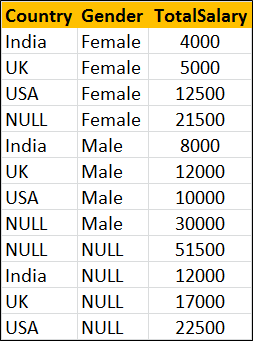 Notice that the Country column within the resultset is NULL as we are grouping only by Gender column. Finally we also want the grand total of Salary. In this case we are not grouping on any particular column. 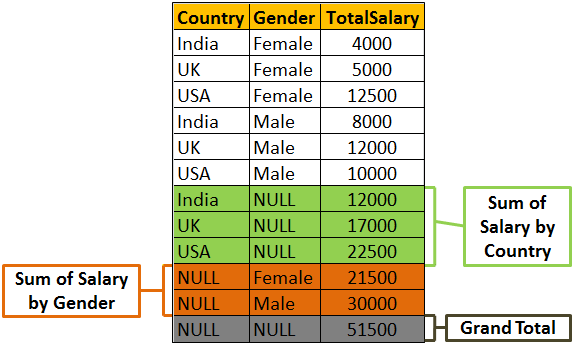 So both Country and Gender columns will be NULL in the resultset. To achieve this we will have to combine the fourth query using UNION ALL as shown below. There are 2 problems with the above approach. 2. The Employees table has to be accessed 4 times, once for every query. If we use Grouping Sets feature introduced in SQL Server 2008, the amount of T-SQL code that you have to write will be greatly reduced. 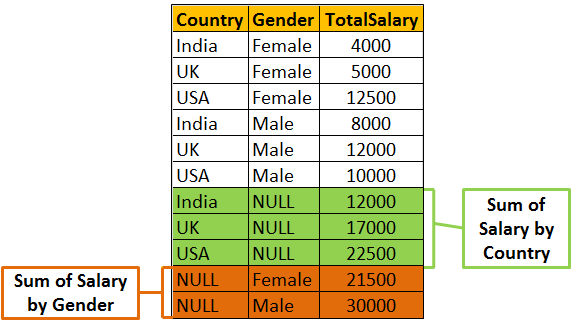 The following Grouping Sets query produce the same result as the above UNION ALL query. 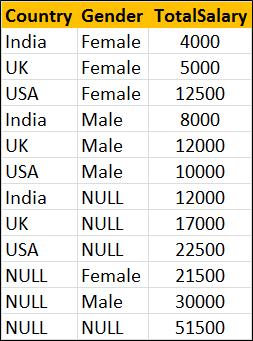 The order of the rows in the result set is not the same as in the case of UNION ALL query. To control the order use order by as shown below. what is role of last Gender without grouping i think result will be same with or without gender.